Now they need just one more thing – the girl with witch’s blood in her veins. Lost through the tirthas, Lizzie Jones must find a way back home to stop the demons and their collaborators from destroying the tirthas. But a further betrayal awaits her – a betrayal that will throw her into the hands of those she despises most. Those who plan to use her for their own treacherous ends. 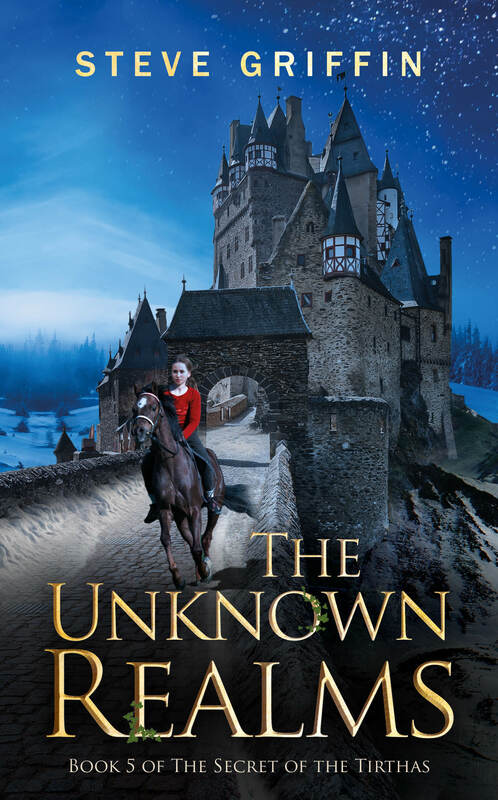 The Unknown Realms is the thrilling, action-packed climax to The Secret of the Tirthas series.